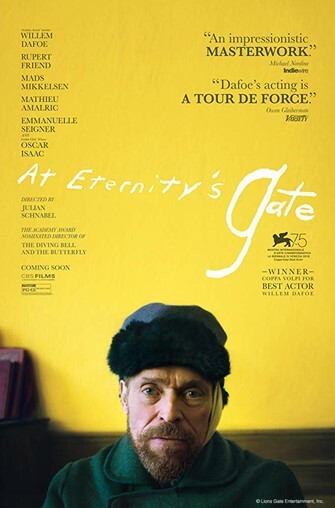 First Friday Films: "At Eternity's Gate"
A chronicle of Vincent Van Gogh’s time in France when he resided in Arles and Auvers-sur-Oise. Stars Willem Dafoe and Emmanuelle Seigner. DIrected by Julian Schnabel.